Test your knowledge of the computer, tablet and computer programs! 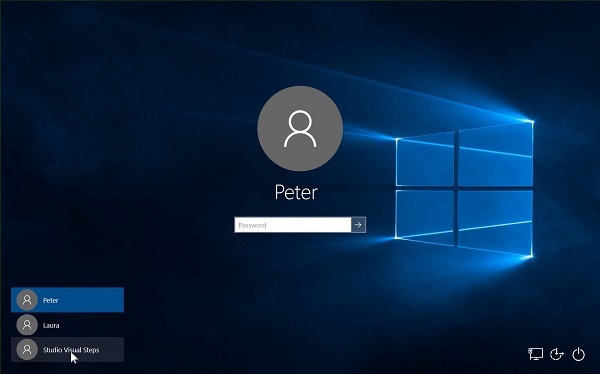 Here you can test your full knowledge of working with Windows 10. Included in this test, are the components basic concepts, Internet, mail, folders, files and security and maintenance. Answer the following 50 questions, then click the View your results button at the bottom of this page. Your test results and the correct answers are shown immediately on your screen. With a score of sufficient or greater, you can receive the Computer Certificate by email if desired. 1. What happens if you click in File Explorer? 2. What is the name of the folder which is meant for saving text files? 3. How do you recover a file which you accidentally removed, after opening the Recycle Bin? 4. What can you see in the address bar in File Explorer? 5. Which key do you use to select multiple non-contiguous files? 6. What happens if you drag a file from your computer to a USB stick? 7. How do you select a file in File Explorer? 8. Which folder is not one of your personal folders? 9. Can you delete a folder all at once in File Explorer? 10. Can a folder contain multiple files with the same name? 11. Is it possible to show multiple programs or apps with Task View? 12. What happens when you click the button in the upper left corner of a File Explorer window? 13. What is this screen called? 14. What taskbar button can you click to open a program for arranging files and folders? 15. When does this bar appear on the right or bottom of a window? 16. Which button do you use to close a window? 17. How do you widen a window? 18. What command in Windows is commonly associated with the word cut? 19. How do you find a program when there is no icon for that program on the desktop or taskbar? 20. What is this part of Windows called? 21. Can a web address contain spaces? 22. How do you view the bottom of a webpage when it does not fit inside the window? 23. How do you place Microsoft Edge back on the desktop after minimizing the window? 24. What happens if you click in Microsoft Edge? 25. When are there no scrollbars in a Microsoft Edge window? 26. Which button can be used to renew or refresh a webpage in Microsoft Edge? 27. How do you set up your own homepage in Microsoft Edge? 28. Where can you find the webpages you have visited and saved? 29. Which button can be used to open a link in a new tab? 30. Which button can be used to close the Microsoft Edge program? 31. Can you remove email messages from the Sent folder? 32. Can you send an email to yourself from your own account? 33. When you answer an email by clicking , will the message also contain the original text? 34. Can you open an incoming email message in a seperate window in the Mail app? 35. What can you do with an attachment in the Mail app? 36. How can you tell if you have received a new email message in the Mail app? 37. Which button can be used to select multiple messages to send in an attachment? 38. What is the purpose of the Drafts folder in the Mail app? 39. What does the icon indicate in an email message? 40. Can email messages from your friends and family end up in the Junk folder? 41. What does a green padlock to the left of a web address indicate? 42. What will not be deleted when you use Disk Cleanup? 43. Will the last changes made to a document be lost by using System Recovery? 44. What does the Check Disk program do? 46. What is a Trojan horse? 48. Can you add websites to the Trusted websites zone manually in Microsoft Edge? 49. How do you prevent email messages from landing in the Unwanted email folder in an email program? Visual Steps publishes books that help you learn to work with Windows, Mac OS, iPad, iPhone, Samsung tablets, a diverse array of computer programs and other interesting subjects. Subscribe to our free, monthly newsletter to receive information regarding new books, book supplements, online tutorials, downloads and other valuable resources.